Are you worried about a root canal that could be making you sick? 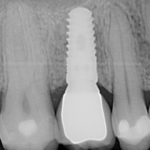 The documentary Root Cause has recently prompted many questions from our patients at Incredible Smiles. Consider Dr. Lori Kemmet and the team at Incredible Smiles, your go-to experts when it comes to health. Let’s be honest. The documentary is a little lopsided toward the position that all root canals are bad for you. Can root canals trap bacteria? Yes, they can. But root canals also save teeth. The scientific research has not proven that all root canaled teeth are bad. I am a cosmetic dentist in Boulder, who has personally had a root canal performed on a molar in my mouth. I even had it done by an endodontist. By the way, it is my opinion that endodontists are the go-to specialist for a root canals. I still believe in root canals. Back to my personal story. 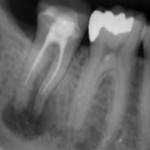 My root canaled tooth (molar on the upper right side) continued to have sensation for six years after the root canal. The infection never cleared up. 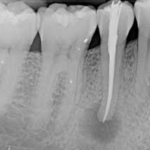 There was continued bacterial activity around the root canaled tooth. My options were to have the root canal retreated or have it removed. Of course the last resort always should be to remove a tooth. Given the success ratio of 20% for a successful outcome from re-treatment of a root canal, I chose to have the tooth removed. I now have an implant and crown in its place. I am happy and my sensation is gone. The Cone Beam 3D technology that the documentary Root Cause refers to is available in our office. If you want to analyze a tooth with a root canal for infection, this is the go-to technology. I still believe in root canals. To keep a root canaled tooth, or not to keep a root canaled tooth. That is the question. If you are considering having a tooth pulled, I recommend getting a 3D x-ray for a closer look. Dentists are often put in a difficult position about whether or not to advise patients to remove all of their root canaled teeth. It would be overzealous treatment planning! However, it is our job as dentists to tell you when there is an infection associated with a root canal. Then it is up to you to decide to retreat that root canal, or have the tooth removed. I am typically not in favor of retreating a failing root canal procedure. Alternatives to root canals are limited. The only really solid and predictable option when you are told you need a root canal (and you are opposed) is to have the tooth removed. From tooth removal forward there are removable and permanent options. The removable options tend to be less expensive. Bridges are a permanent option but are more “old fashioned” because they require the removal of excess tooth structure on the neighboring teeth. Bridges are not a great option for missing teeth in my opinion. Dental implants (lower right) are the best option for one or more missing teeth. Yes, dental implant treatments become expensive. Most offices, like ours, offer financing. If you have ongoing infection associated with a root canal, please consult with a dentist. Here at Incredible Smile we have 3D Cone Beam technology, the go-to technology to scan a tooth with a root canal for infection. Set up your free initial consultation today, and put your worries aside.